Sometimes the hardest thing is to just get started, so if you are really committed to making freelance writing your full-time business, in this solo episode Lorrie outlines her freelance business planning blueprint. 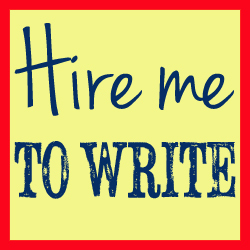 Follow her suggestions to be up and running as a freelance writer in just six weeks. Hello and welcome to a Little Bird Told Me, the podcast where two freelance writers tell you all the tricks of the trade. We talk about the highs, the lows, and the no-nos of successful self-employment, saving you from mighty embarrassment and mortifying mistakes, and guiding you to the very top of your chosen profession. Freelancing is amazing, but that doesn’t mean it’s easy. Tune in to the podcast every week, and if you go to alittlebirdtoldme.podomatic.com you can subscribe to ensure you never miss an episode. Whether iTunes, an RSS podcatcher or Stitcher Smart Radio are your platform of choice, we’ve made it really easy to sign up and be the first to hear our latest words of wisdom. There, you will also find any links we mention, our own websites and social media feeds, and the A Little Bird Told Me Facebook Page, too. I’m Lorrie Hartshorn and this week, it’s time for my solo episode. Philippa will be back next week, though, so make sure you subscribe at our homepage so you don’t miss her victorious return. Over the last year and a bit, Pip and I have talked about lots of the different things you need to master when you’re a freelance writer. If you want to make a success of being self-employed, you have to work hard. But what we’ve not really looked at specifically – at least not for a good while – is how you go about getting started. For a number of reasons – some of them more transient than others – a lot of people seem to be wanting to make a move toward freelancing at the moment. Whether you’ve been made redundant, can’t find a job, just want to work for yourself, or make some extra money to supplement an existing job, you’ll have your reasons for wanting to go solo. What I want to make clear, though, is that freelancing isn’t easy – particularly if you’re wanting to make it your sole income. Above all things, you’ll need to be persistent and consistent – if you’re easily disheartened, you’re lacking in drive and confidence (even if it’s fake! ), or you’re not 100% sold on the idea, it’s going to be a very steep uphill struggle. If you’re sure you have the time, commitment and basic skills needed to become a freelance writer (and a knowledge of SEO is definitely included in that – had way too many people recently thinking that SEO’s optional! ), this podcast will hopefully give you a check-list of essentials to work to, so that you’ll be able to hit the ground running in the new year, safe in the knowledge that you’ve got the basics sorted. So, with the end of the year coming up fast, I’m going to look at how to set up as a freelance writer in six weeks. With exactly eight weeks left until 2014, that gives you six weeks of hard work (and you’ll need to do work around all the suggestions in this podcast) and two to recover/be festive. Even if you’re already a successful sole trader, stay tuned – with 2013 almost at an end, it’s a really good time to make sure you’re doing everything you need to, to make a real success of your business over the next year. I’ve assigned four tasks to each week, assuming that, like me, you enjoy having a couple of days off. If you’re doing this part-time, or you’re not bothered about having full days off, you can obviously redistribute the work across more or fewer days. So, week one. It’s time to decide exactly what you can and do offer – and how you’re going to communicate that to your clients. 1.Make a list of your freelancing skills. Grab a big piece of paper and brainstorm everything you *can* do on to that. It doesn’t matter what it is as long as it’s related to freelancing, writing, words, editing, marketing. Once you’ve got a load of stuff down on paper, you need to work out what could feasibly become part of your freelance writing career. Draw three columns to the side of that list and title them “enjoy”, “good at” and “demand” – namely, whether you enjoy the task, whether you’re good at it, and whether there’s any real demand for that service on the part of clients. Work your way down the list and tick the boxes that apply. It’s really important to be honest, though, otherwise this is a pointless exercise. Don’t panic if you’re not sure there’s a demand for something – pop a question mark in there if you really don’t know, but don’t let yourself pop question marks in when you know there isn’t a demand but you wish there was! For stuff you enjoy doing and there’s a demand for, make a separate list and start looking around online for training that can help you improve your skills in these areas. Start scheduling in some training bit by bit – this is really important and something you will have to keep on with forever. 3. Journal your day-to-day activities – find out when you get up, go to sleep, eat lunch, exercise, slump, socialise – everything. 5. 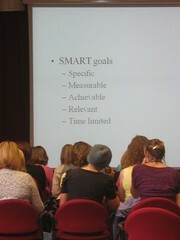 Set Your Freelancing Goals – SMART Goals. Episode 20. Specific, measurable, achievable, realistic, time-sensitive. It’s a good idea to set monthly goals so you can set aside time each month to see if you’re hitting those targets. 6. Get Inside Your Client’s Head – who are they? What do they want? Which social media platforms are they on? How do they like to communicate? What are their values? Quick Check on Your Competitors – are you charging the right amount? What do they do well? What are they doing poorly? Are people interacting with them? Learn what you can! 8. What you’re offering- time to set those services. If you don’t know what you’re offering, your clients won’t either. Know what you’re selling, how long it’ll take you, how much of it you want to do, and what the benefits are. Know your services. 9: What to charge and how? Episodes 23-25. What you want to charge, how much you need/expect to make, whether you’re going to charge hourly, by the job or use a combined approach. Very complicated, and not something you want to get wrong – most freelancers charge way too little, some charge way too much, so please check out our three episode series on this! Easy to spell. If you have to say your web or email address over the phone it’s always better if you don’t have to say it letter by letter with things like dashes or underscores mixed in. 12. Set up a WordPress website – time to get ranking. Choose a nice, neutral theme. Don’t worry about being too exciting, just keep it professional. This might take you a while, but trust me – as a former tech-phobe (and still not the techy-est person in the world) WordPress is really easy to use. It’s way easier than some other CMSs. 13. Pick up some plug-ins: do some research into plugins that will help your site run faster and more securely (Akismet is a lifesaver, screening out spam comments, and Limit Logins helps protect you from automated attacks http://wordpress.org/plugins/limit-login-attempts/), and help you to promote the things you post across social media. It’s also a really good idea to add a contact form to your site – they capture emails a lot more effectively than just putting an email address in there. 14. Putting pages on your website: Home, about, services, FAQs, testimonials, training, contact me. Get some testimonials ready for your site – ask anyone and everyone you can think of. And don’t panic if you don’t have any writing testimonials just yet – it’s also important to let clients know how you work, so if you’ve got people who’re willing to say that you get work done on time, always pitch in as part of a team, have brilliant creative ideas or are just lovely to work with, it’s far better than nothing. 15: Check in with your organisation. Are you keeping to the hours or are you slacking off already? Are you getting up when you need to? Are you working where you’re supposed to or vegging in front of the TV? How’s the training coming on? 16. BLOG. Content marketing important – social media and evidence of your ability to write. Think about setting up an editorial calendar (ep 17) so you can drop in ideas when the mood strikes and keep on top of what needs publishing and when. 17. Prep some test pieces ready for your portfolio. You might want to upload these, you might not, but it’s good to have them on hand. 18: Client communications: be prepared to communicate with your clients like a business. Forget the whole “Who, little old me?” attitude and get ready to talk shop. 19: Get social – set yourself up with, at the very least, a Twitter and LinkedIn account. Facebook can also be worth it, particularly if you’re looking to engage with B2C clients – but go with what you can manage. Make a plan to engage daily with these platforms, and/or schedule some updates, including links to your site and blog. Start to subscribe to – and comment on – popular blogs or business sites, so you can start to get your name out there and your voice heard. Make sure what you contribute is quality, and not spam. Publish a blog post weekly about a topic your target clients are interested in. Submit articles in article directories. Your freelancing goals and objectives – Simply take this out of your assignment on Day 3, when you set your freelancing goals. An analysis of your target clients – Don’t panic; you’ve done this! Go back to the assignment on Day 4, when you got inside your target clients’ heads. 22. Identify some prospects – blogs, social media, business sites, networking events…use your imagination to identify a number of clients to approach over the coming months. Start an excel file of clients and sectors you’d like to target and set yourself a goal – depending on how much time you have – to start pitching regularly. 23. Prepare to get networking – look for events, decide whether to go to one-off events or regular ones, be aware of the pros and cons of both. 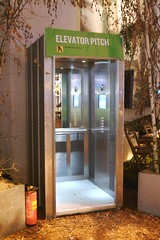 Make sure you have your elevator pitch down pat and a smart suit ready to wear. If you can, get yourself a small batch of business cards and get used to carrying those – I keep a few in my wallet, a few in my diary and a few more in a pocket in my handbag so whether I’m out shopping, sitting in a meeting or just out and about, I’m likely to have one to hand. Don’t go bad and buy 500 – 100 will do for a start, even 50 if you’re a bit skint. 24. Learn your pitch. It doesn’t matter how you prefer to pitch – whether you’re naturally an emailer, a cold-caller, a networker or a combination of the three. Research how to effectively pitch to clients – both in general and specifically to certain markets. Say you want to target clients in the B2C professional services sector, like insurance and law, consultants, architects, engineers, doctors and dentists. But you also want to target B2B customers in the nuclear sector, because you did a degree in engineering. What do clients in these two sectors need? What are their concerns? What do they want? How do they communicate? What are their values, missions, priorities. If you focus on these things, you’re far more likely to convince companies in those sectors that you can adequately meet their requirements.